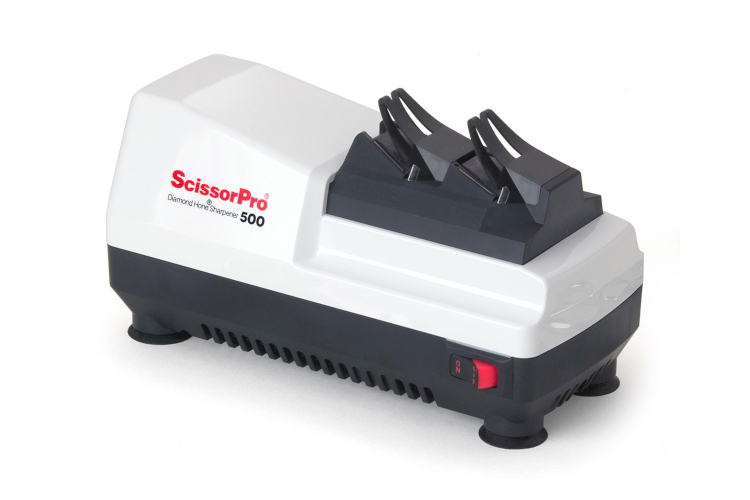 The Chef'sChoice ScissorPro Electric Scissor Sharpener will help you keep all of your household scissors as sharp as possible. This sharpener from Chef'sChoice can put a perfect edge on any pair of scissors using two stages, for coarse and fine grinding. Each stage can sharpen even super-hard steel scissors with its 100 percent diamond abrasives.